Hollis Johnson/Business InsiderIt can be incredibly frustrating when your iPhone won’t charge. 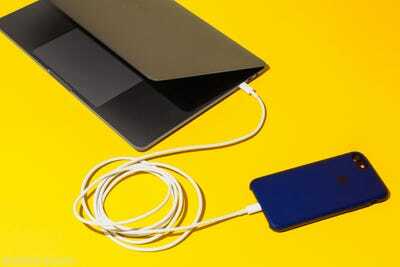 If your iPhone won’t charge, don’t panic. It might be a simple problem that’s easy to fix. You should methodically troubleshoot your phone, cable, AC adaptor, and computer to see if one of those parts is preventing your phone from charging. 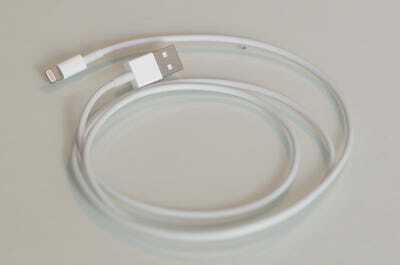 The most common glitches are frayed or broken Lighting cables, and dirt or lint in the phone’s Lightning port. If your iPhone charges with one cable, but not another, you know it’s the cable. If your cable charges other phones but not your own, you know it’s your phone. When your phone starts to charge again, whatever the last thing you changed was the problem – so you know what fixed your phone. Anytime you are troubleshooting a problem, it helps to restart the system and see if that fixes the issue. If your phone still has enough battery life, restart the phone and then try to charge it again. If your phone battery is very, very low – under 5% – or already complete dead, don’t bother with this step. Start by making sure your phone is not charging. Connect your phone however you usually do to charge it – wirelessly, plugged into an AC adaptor, plugged into a computer’s USB port – and check the phone’s display. If the battery is already dead, leave it to charge for about two hours and then check on it. Dave Johnson/Business InsiderThe lightning bolt in the battery icon tells you that your phone is charging. Remove the phone from its wireless charging case, if you’re using one, and plug the phone into a power source with a Lightning cable. Again, check to see if it’s charging. If it is, congratulations – you solved the problem. There’s some sort of problem with the phone’s wireless charging solution. 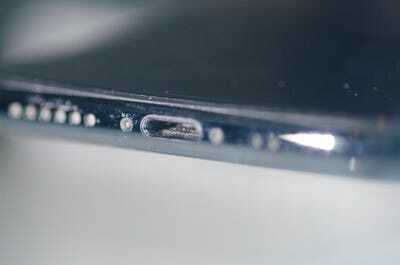 If your phone isn’t charging the way it usually does, your next stop should be to inspect the Lightning port. This is a lot more common than you might think. After all, we spend a lot of time jamming the phone – port-end first – into pockets, bags, and other places filled with dust, debris, and lint. Dave Johnson/Business InsiderYour phone’s Lightning port is a veritable magnet for dirt, dust, lint, and other grime that can interfere with charging. Dave Johnson/Business InsiderYour Lightning cable should look like this — no fraying, sharp bends, or kinks that can damage the underlying wires. On the long list of potential problems, you should also check your power source. If you’re charging your iPhone from a computer’s USB port, make sure the computer is fully awake (not in sleep or hibernation mode). Also try a different USB port, in case the USB port you were using has failed. Don’t try charging from a USB port built into a keyboard or USB hub – connect it directly to a USB port on the computer itself.